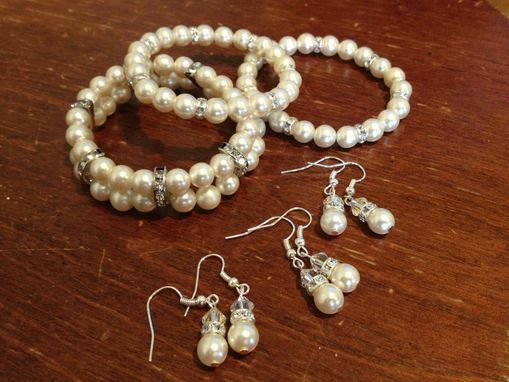 These bracelets (and earrings) were made for a bride and her twin sisters who will be bridemaids. The pearls are from the bride's grandmother's favorite necklace from the 1950s. They will be worn in the wedding next month. 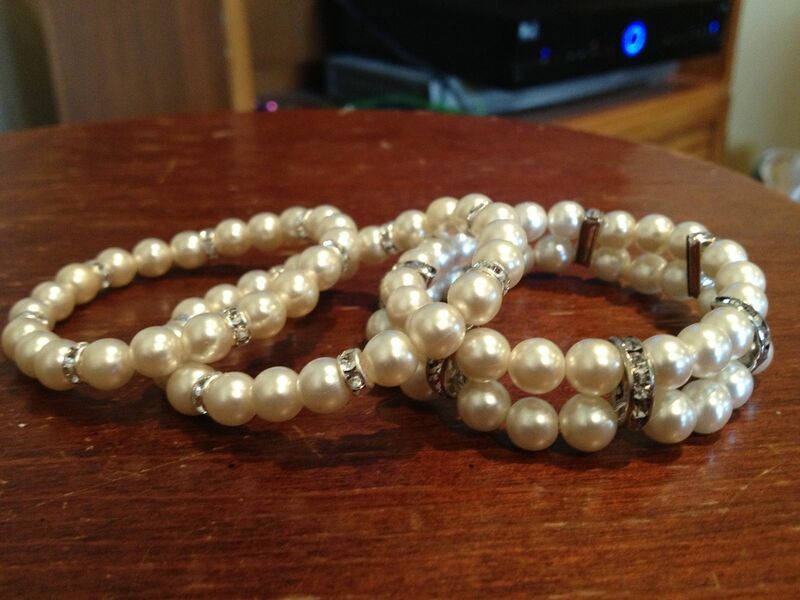 All three bracelets are a stretch style, strung with Swarovski crystal elements. 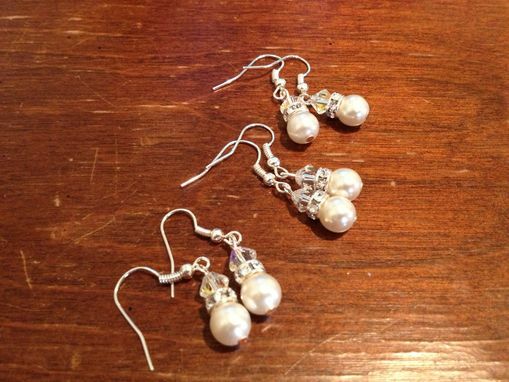 Since I had some pearls left over, I made three pairs of earrings as well.